Since they released their first feature film in 1995, Pixar Animation Studios has become a household name all but synonymous with quality. They have had a few missteps along the way, but on the whole you can count on Pixar delivering solid films that moviegoers of all ages can enjoy. This general excellence makes it difficult to rank Pixar’s films into a “best and worst,” and yet many reviewers have tried. Dissatisfied with the other lists I have seen, how could I pass up a chance to tackle this challenge? Note: while some subjectivity will inevitably infiltrate my judgment from time to time, I will nevertheless attempt to rank these films as objectively as possible, favoring the merits of a particular film over my personal preferences. If a reviewer ranks another Pixar film lower than Cars 2, immediately disregard him. This sequel followed played out like most movie sequels, attempting to cash in on the previous film’s name to pull it through, except in this case the predecessor wasn’t a particularly engaging film to begin with. 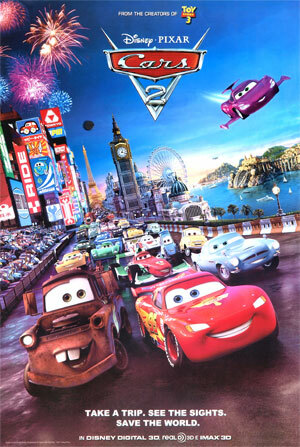 Cars 2 was the first Pixar film to receive an overall negative reception, and rightly so. 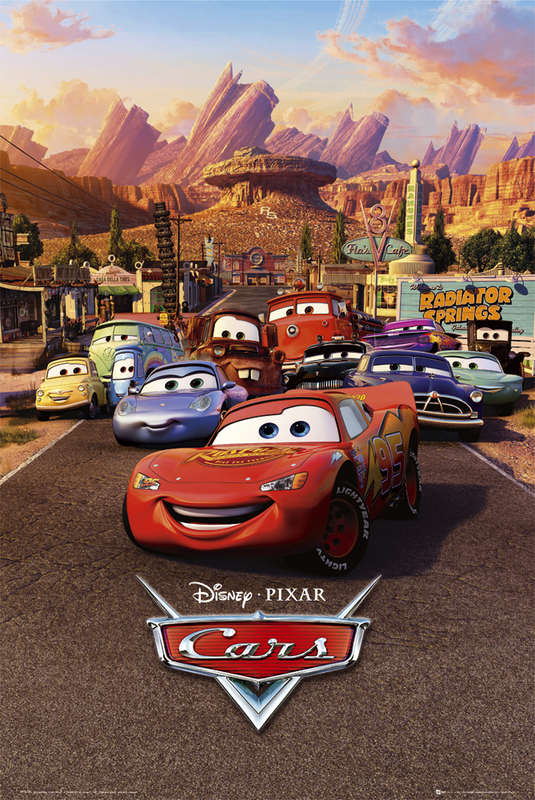 It may have had a decent enough plot, but the first Cars film had nothing that made it stand out, and with its car-racing setting it already filled a sort of niche role anyways. Unlike most other Pixar films, Cars didn’t have many memorable characters to its credit. Sure, there’s Mater, but that’s part of the problem, because he’s only a supporting character, and he is more recognizable than anyone else in the film. This is the most subjective entry on my list, as I have not actually seen this film from start to finish, and only bits and pieces besides. What I have seen, however, has not particularly enticed me to sit down and see the rest. Someday I’m sure I will, but I’m in no hurry to do so. 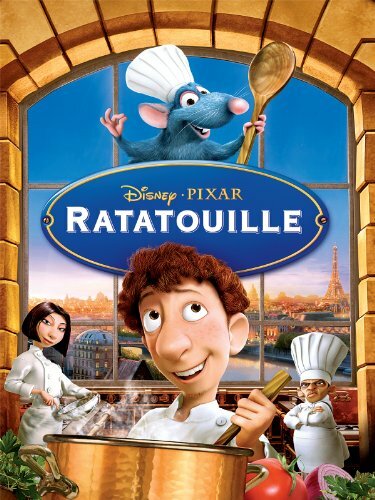 To give the film its due, though, most other lists I’ve seen rate Ratatouille much higher, sometimes even giving it Top 3 status. I highly, highly doubt it deserves that high a ranking, but at the very least it’s better than the Cars films. If I was going by my own preferences, this film would be a little higher up the list, as it is quite entertaining. Nevertheless, it relies heavily on Monsters, Inc., assuming that the audience already knows the characters and the monster world from the original. With a less meaningful central plot and greater emphasis on screwball comedy, Monsters University lacks a bit of the charm and impact of the first film. Additionally, it suffers from a few continuity issues with its predecessor. 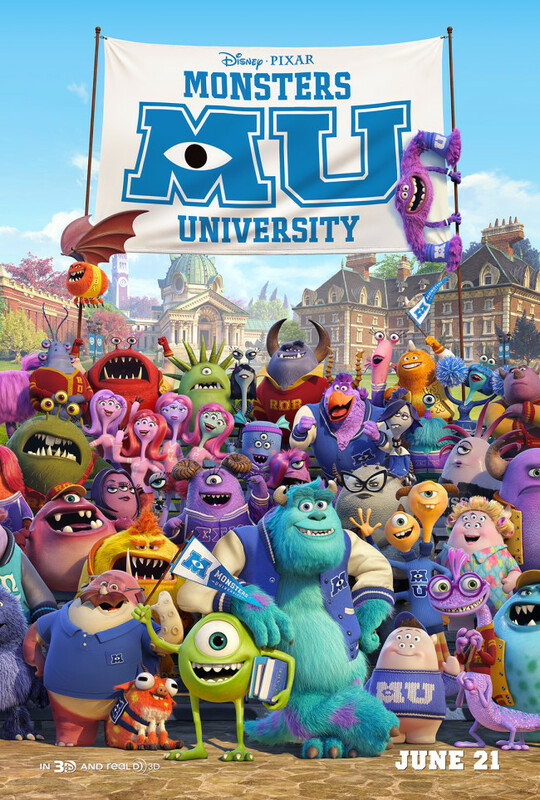 But Monsters University is by no means a bad film; far from it. It is only ranked low because the other films on this list are better, which says a lot about Pixar. Pixar’s second film probably won’t make the “favorite list” for many people, but its “Magnificent Seven with a twist” plot plays out well, and it does feature a solid cast. 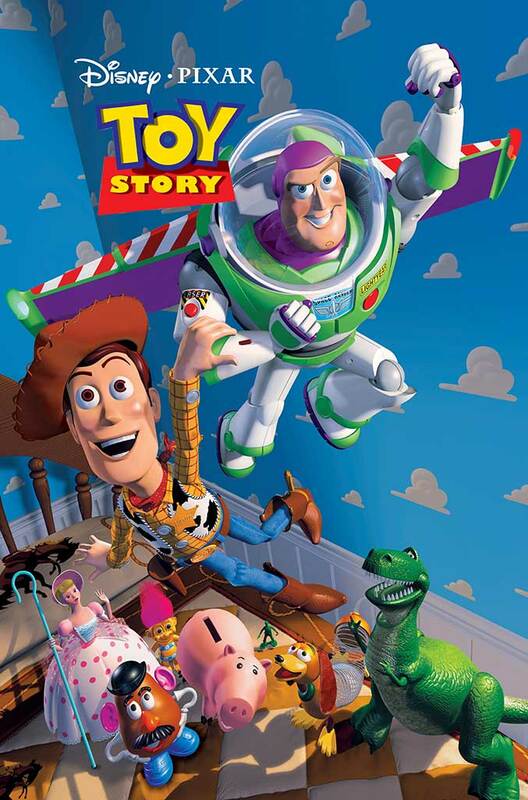 However, it lacks the “wow” factor to set it apart from other Pixar films, and, rightly or wrongly, is an easily forgotten title in Pixar’s filmography. Most lists I’ve seen tend to rank Brave lower, sometimes even second-to-last, but I think that undervalues what this film has to offer. 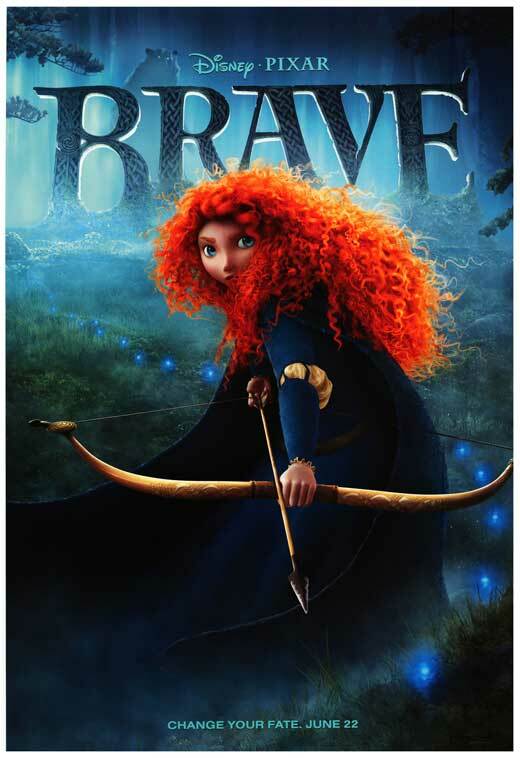 Its beautiful visuals, excellent music, enjoyable characters, and a unique setting, make Brave an entertaining cinematic experience. The film’s criticisms tend to center around the plot, but I think Brave’s shortcomings are in the execution of the plot, rather than the plot itself. Act I plays out fine, but Act II (where Merida and her mother must come to understand each other) is too short. The mother-daughter conflict resolves too quickly and too easily, and while the audience may know that this resolution, rather than mending the torn family tapestry (which only signified the family issues) is what ends the curse, the film is unclear on whether the characters realize this. With a little more polish and a longer Act II, Brave could potentially have earned a spot in Pixar’s Top 5, but alas, it fell a bit short of its potential. 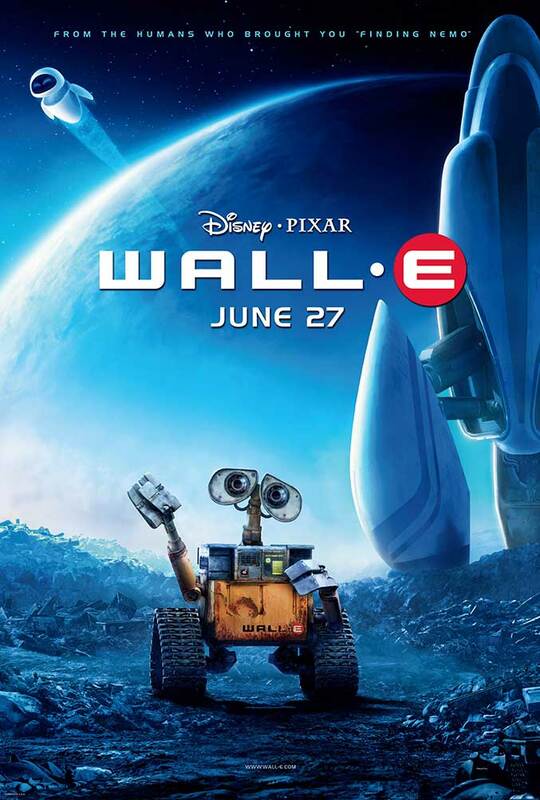 Many people will probably argue that this is too low for WALL-E; many other lists I’ve seen put the film in the Top 3, and more than one gave it the top spot. The movie certainly has a lot going for it. With perhaps the exception of the montage near the beginning of Up, WALL-E contains the best romance in a Pixar film, which is a greater accomplishment when you realize that the lovers are both robots and have a severely limited vocabulary. WALL-E feels like it switches from one plot to another halfway through the film, though. While it handles this shift quite well, it can’t help but come off feeling a bit odd. Additionally, the first half of the film contains very little dialogue, while the second half has a traditional amount of speaking parts, lending to the impression that WALL-E tells two short (though intrinsically-connected) stories instead of a single adventure. The fact that this structure succeeds is perhaps a good reason to rank it higher, but I believe that the more linear construction of the films yet to come on this list give them an edge over WALL-E.
Finding Nemo is a powerful story of the love of a parent for his child, and the lengths he will go to keep him safe. 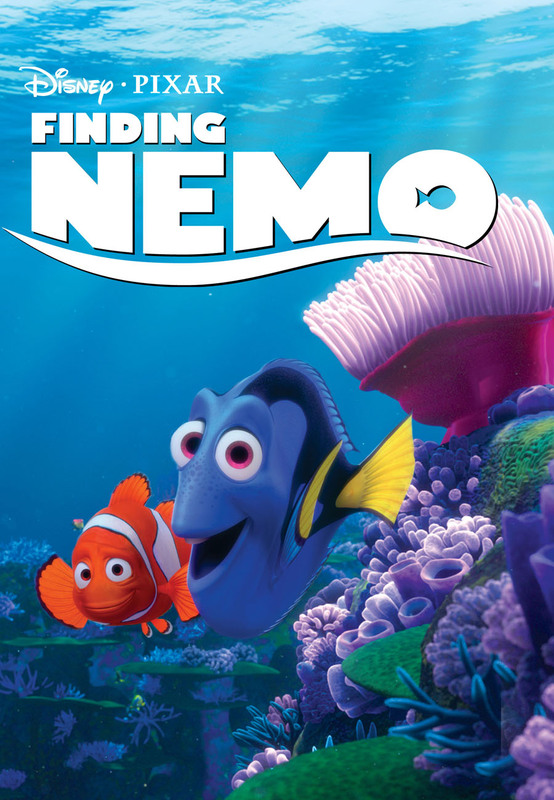 The protagonist, Marlin, tends to be overshadowed by the various supporting characters in the film, but there is a story reason for this, as Marlin’s personality is initially stifled by his overprotective nature, and grows as his adventures progress amid the beautiful aquatic scenery. And unlike Cars, there are many easily-memorable characters in the film, such as Dory the forgetful sidekick, Bruce the shark, and the flock of nameless seagulls who scream “Mine!” whenever they see food. This is lower than I wanted to rank this film. Six films ahead of Up?! Once again, a testament to the quality Pixar has given us, and to the skill of director Pete Docter, who also helmed two films higher on this list. Up contains one of the best individual sequences in film history; I’m referring, of course, to the montage of Mr. and Mrs. Fredrickson’s life together early in the movie. That montage may be the highlight of the film, but the remainder of the movie does not disappoint. 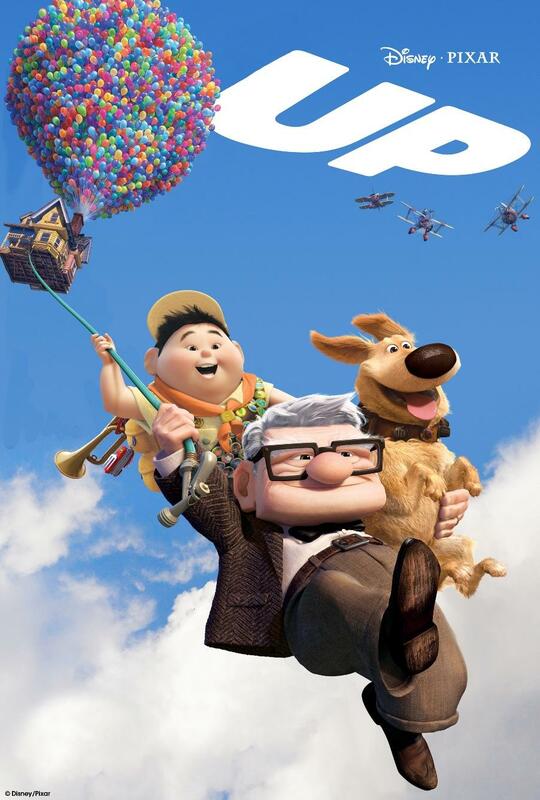 The simple yet effective plot of Up relies heavily on its characters and their relationship to one another, supplemented by gorgeous visuals and fantastical and whimsical elements that help make it unforgettable. The first film Pete Docter directed for Pixar has more layers to it than initial appearances would suggest. A story of friendship, corporate corruption, betrayal, revenge, overcoming misconceptions, and a romantic subplot, all woven together seamlessly by the almost father-daughter relationship between the monster, Sulley, and the human child, “Boo.” Not bad for a comedy, eh? The monsters’ world is a treat for the funny bone, mixing slapstick, visual gags, jokes, and humor reminiscent of The Adams Family to great effect, never detracting from, but rather improving the film’s many aspects. 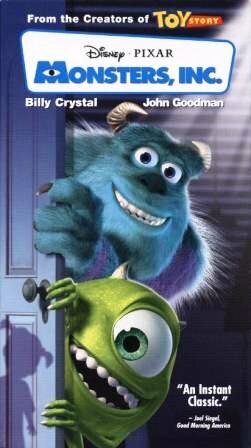 The integration of comedy and well-thought-out plots was nothing new to Pixar when Monsters, Inc. released in 2001, but this film persists as an easily-observed example of it. And James P. “Sulley” Sullivan and Mike Wazowski stand as two of the most iconic characters Pixar has ever created. In a surprising and controversial move, I have chosen to rank the three Toy Story films together. I fully believe – and I’m not the first to say this – that you could make a case for each Toy Story film being the best of the trilogy. All three are incredibly well-structured films, featuring Pixar’s most memorable characters ever, and plots that are not only unique from other films, but also from each other. Not good enough? Lumping the films together is a “cop out,” is it? Fine. Subjectively, I rank the movies: (5) Toy Story 3, (4) Toy Story, and (3) Tory Story 2. I think the second film had the best overall plot of the three, and expanded the humor of the first one in all the right ways, and the character development in the original film sets it above Toy Story 3. Now, of course, you could argue the third is the best, or that neither sequel beats the original, and I will most likely acknowledge the validity of your argument. Such is the nature of one of the greatest film trilogies ever made. Pixar’s first true action film follows the exploits of four amazing characters (five if you count Frozone) as they develop as individuals and as a family. I could write so much on each of the members of the Parr family, particularly Bob (Mr. Incredible) and Helen (Elastigirl). Bob’s shortcoming and consequent character growth are obvious, as a man living in the past who learns to appreciate the present, but a less emphasized plot point is Helen’s faults and development. She lives so much in the present, that she can’t see the future. She notices the ordinary aspects of her children’s lives, something Bob ignores, but she fails to significantly identify their extraordinariness and potential, something Bob does see clearly. 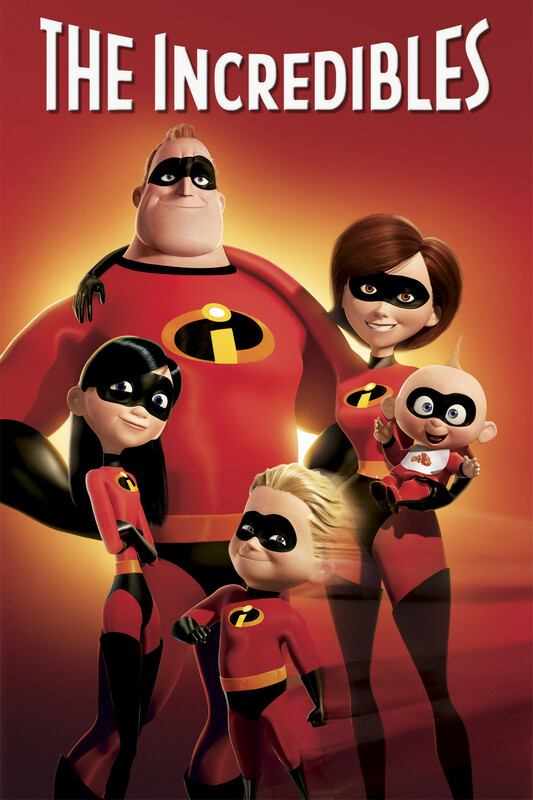 I could keep going on this subject alone, and that’s my point: The Incredibles is a marvelous and complex study of well-rounded characters propelling an excellent, well-executed story. With its aesthetical sets and scenery and one of Pixar’s best musical scores, I considered this film to be the greatest film made by Pixar for ten years, until the next entry supplanted it. When I left the movie theater after seeing Inside Out, I knew I had just seen one of Pixar’s best, but I wasn’t sure that it was the absolute best at first. I figured it would take a second viewing to determine for sure, but pondering the film for a week convinced me even before I saw it for a second time. Inside Out made me think in a way that only Inception has (albeit in a more relaxed manner), and that can only be a good thing. The humor of Inside Out takes a very cerebral form, although other types of comedy, slapstick for instance, also find a place in the film. As the movie plays with your emotions like a piano, your mind feels rewarded just by watching and listening. The voice acting is top notch, and brings alive the characters of the film in a very natural and likeable manner. I don’t know if these characters will attain the iconic status of a Buzz Lightyear or Mike Wazowski, but I hope they do, particularly Joy. There isn’t a single thing I can think of wrong with Inside Out, no flaws or artistic failings to critique. Inside Out is a credit to its director, Pete Docter. 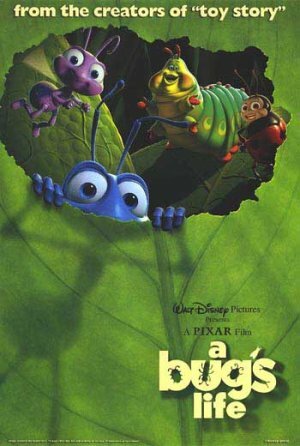 Indeed, it can not only be considered the best Pixar film, but also one of the great films of all time. Lastly, I must mention the musical score. Buy the soundtrack; it’s amazing. Arguably the most complete soundtrack I’ve ever listened to. Most of the time, a soundtrack will have at least a few skippable tracks, but not this one. The score, by the way, was composed by Michael Giacchino, who also wrote the music for Up (for which he won an Academy Award) and The Incredibles. With these and many other successes (seriously, go look him up) under his belt, it might be time to consider him in the upper echelon of film composers, among greats like John Williams and Hans Zimmer. This entry was posted in Comedy, Fantasy, Fiction, Reviews, Science Fiction, Superhero and tagged A Bug's Life, Brave, Cars, Film, Finding Nemo, Inc., Incredibles, Inside Out, Michael Giacchino, Monsters, Monsters University, Movies, Pete Docter, Pixar, Ratatouille, Toy Story, Up, WALL-E. Bookmark the permalink. About ten years back, my geek group ended up agreeing (!!!) that the best recent movie of the last decade was… The Incredibles. Not for geekish reasons, either– judging it as just a movie that happened to have animated actors, rather than Hollywood, or Bollywood, or any other version. 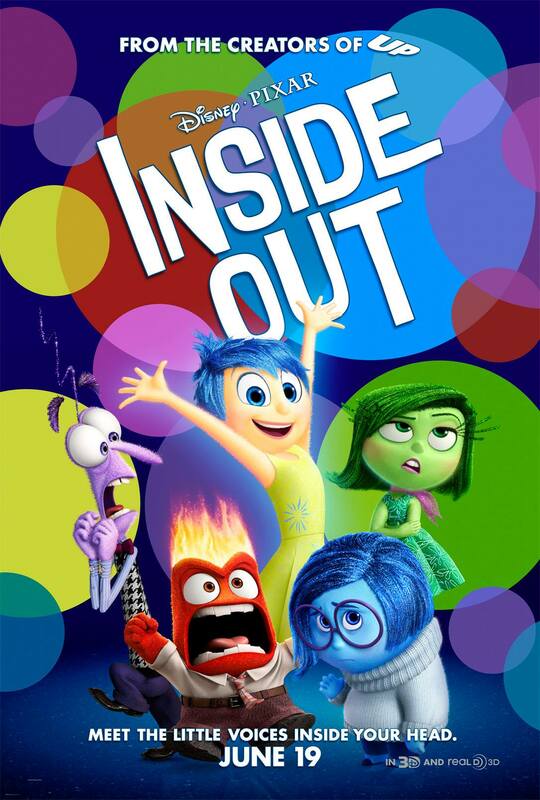 I’m going to have to see this “Inside Out” movie. Unfortunately for my chances to see it, I’m not the sort to bring an infant into the theater.